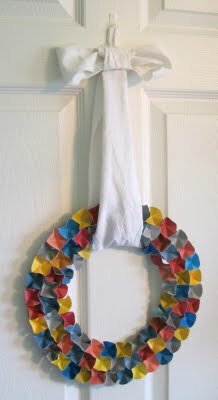 Paint Chip Wreath from Live. Love. Craft. 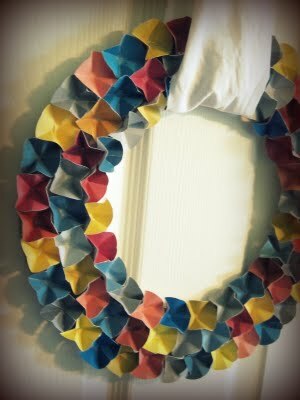 This colorful wreath was made from paint chips, but if you don't have any lying around you could easily make it with cardstock as well. You can see the tutorial over on Live. Love. Craft. And while you are there, make sure to take a minute to become a follower. She is 13 and would like to have 30 followers by 2012! I think it would be fun if we could get her way past that goal!